GCET 2019 Answer key will be released in 2nd week of May 2019. It will be released via online mode only. GCET (Goa Common Entrance test) is a state level entrance exam for offering admission in various courses in Goa state. 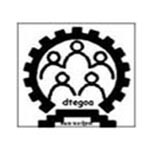 GCET is conducted by the Directorate of Technical Education, Government of Goa. It offers admission in architecture, engineering and many other courses offered by many government and private institutions in Goa. NEET score is compulsory to get admission in MBBS & BDS courses and NATA is compulsory for architecture courses. Here you can get the details about Goa CET 2019 answer key. Goa CET (GCET) answer key will be released in 2nd week of May 2019. Last year it was released on 14th May 2018 along with the releasing of result. The GCET 2019 Entrance exam will be organized on 7th & 8th May 2019. One week after the successful commencement of the exam, the key will be released. The GCET result 2019 will be released on 15th May 2019 along with the releasing of answer key. The answer key will be released via online mode on the official site of GCET. However, the result may be seen via online mode as well as in leading local news papers. The GCET counselling will be started after the declaration of result. The answer key will be released in 2nd week of May 2019. Answer key will be available via online mode in pdf format. The answer key for different papers will be released separately. First, the tentative answer key will be released, but after 3-4 days the final answer key will be released. Candidates would be able to challenge the tentative answer key with right evidence. After releasing the final answer key, no challenge will be entertained. Visit the official website of the board. Search the link for GCET 2019 answer key. Search your category code and paper. Take the print out of your answer key. If you have any other query about GCET 2019 answer key, you may leave your comment below in box.